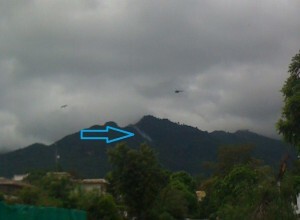 Today morning, at almost 7:50 am a plane carrying passengers from Karachi to Islamabad today, on 28th of july 2010, crashed in the margalla hills, Islamabad, Pakistan. The private plane of Air Blue was carrying over 150 passengers along with 6 crew members. The plane was also carrying five members of the same family and a newly married couple too. May Allah forgive all the people who died in this incident. Please send some pictures of air crash in islamabad on margilla hills. thanks! i posted the pic in this post. Other pics i have are from same location and almost similar.